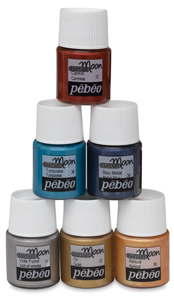 Fantasy Moon Workbox Set — This set contains a fabulous selection of 10 Fantasy Moon special effects paints including Pearl, Rosewood, Carmine, Apricot, Metal Blue, Gold, Mystic Green, Veil of Smoke, Turquoise, and Lilac in 45 ml bottles. 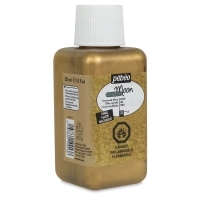 It also contains a Size 8 Squirrel Hair brush, two plastic palettes, and a brochure filled with project ideas, step-by-step instructions, and hints for designing your own unique creations. 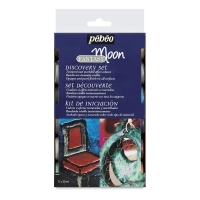 Discovery Set of 12 — This set includes 12, 20 ml bottles of Fantasy Moon Paints, including one each of Apricot, Carmine, Metal Blue, Turquoise, Veil of Smoke, Emerald, Gold, Pearl, Antique Pink, Silver, Ebony, and Chocolate. 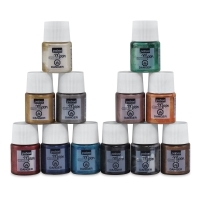 Set of 10 — This set includes 45 ml bottles of Turquoise, Sand, Chocolate, Gold, Antique Pink, Metal Blue, Pearl, Lilac, Carmine, and Silver. 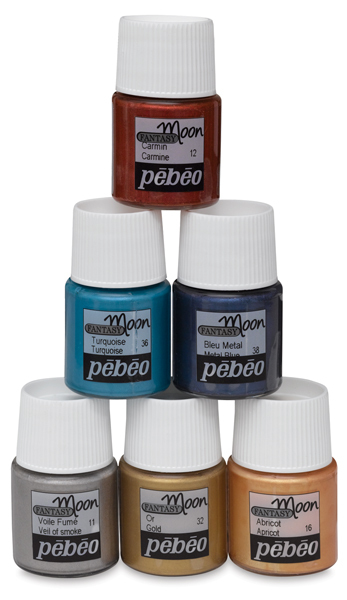 Discovery Set of 6 — This set includes six 20 ml bottles of Fantasy Moon Paints, including one each of Apricot, Veil of Smoke, Carmine, Metal Blue, Turquoise, and Gold. 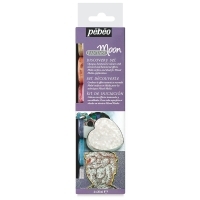 Plastic Droppers, Set of 5 — This set of five plastic droppers is perfect for helping artists create amazing effects with Pebeo Fantasy Moon and Fantasy Prisme Paints on metal, porcelain, terra cotta, china, ceramic, canvas, glass, wood, and more.